A History Over Four and a Half Years is Definitely not Endless- But Sometimes It Feels That Way! 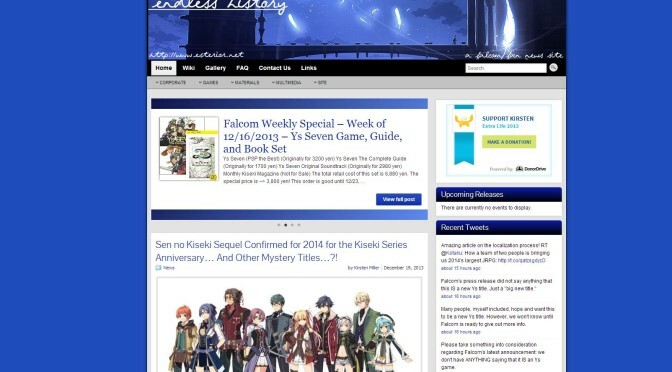 Sometimes, when I load up the dashboard for Endless History, I don’t always really think about what I’m doing other than ‘this post must be written.’ Except somehow that changed this morning when I posted about this week’s Weekly Special from Falcom. Of course, my focus was entirely on writing the post- this is a weekly act that has become almost second nature to me by now. It does help that I have a plugin to allow me to load a template into WordPress before I even start typing, I can get to Falcom’s weekly special page blind by this point. It’s kind of silly when you think about it. One particular page on my favorite game company’s website is probably the address that, on some days, I can rattle off blindly, without looking at the page. Others, I just shrug it off and keep going. However, another member of Sanctuary Crew, Sniff, put it to me very very well in our chat this morning… I told him that it just dawned on me that I’ve been doing this weekly special post, once a week, almost every single week (not always on time, unfortunately) for over four years now. My posting format has definitely changed since I started, but the fact that I’m still doing this is still there. Every week, for 4 years. That’s…what…50ish weeks in a year? That’s 200 posts. That’s almost 7 months worth of effort on specials posts alone. The other day, I had a stopping moment when I realized that I’m right about 50 posts away from hitting 1,000 posts on Endless History. I also realize that every single one of those posts I wrote personally. I’m too much of a control freak to bring other people onto my site. I have a particular method to my madness and while I’ve considered it, I can’t imagine anyone ever wanting to work under me as their “editor in chief.” I’d be micromanaging how they’d even RUN their wordpress account. Unfortunately, this forces me to live “two lives,” as I’ve said before- one life according to daily business hours, as I do need to work for a living. I don’t make any money off of Endless History. I started to implement advertising, but I never completed it. …then I have my life that revolves around my website- entirely based on Japanese business hours to ensure that I can catch news announcements from Falcom as they come out. It was WAY easier when I started. –and it was only after writing that when I realized that I’ve been working on this site longer than I’ve had my current job. I started on this site while I worked third and graveyard shifts at a 24 hour tech support center. It was perfect- those hours meant I was awake and coherent while Falcom was their most active on twitter. Now, when I anticipate announcements, I have to go home from work, get there at about 5:30 to 6:00, eat dinner, play with my dogs, and go straight to bed- only to get up at 2 or 3 in the morning to work on articles with the hope that maybe I can get in another hour or two of sleep afterwards. It’s not just writing articles or researching them. It’s also the maintenance on the site. 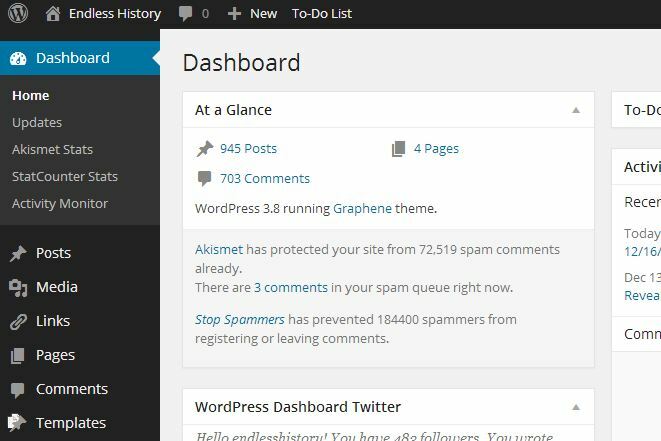 While I use a fairly heavily modified version of the wonderful Graphene Theme for WordPress, there is more than just maintaining the wordpress updates and so forth. I have security to maintain, search data, etc etc. If you look at the bottom of my site, there is a counter in the lower lefthand corner. This is the same counter as I used to have on the sidebar of the site in its earlier incarnations. Though looking at it, I realize that maybe I should redo the bg color to make sure it matches the background. This is my thought processes with the site. I see something, then realize it needs to be tweaked, or added, or maybe this WordPress plugin will be a nice addition to my “quality of life” when it comes to working on the website. Sadly, this consuming process ends up eating time that I should probably share to this blog. Or to the “Minefield” project for Sanctuary Crew. Or the various scanslation projects I’ve got lined up for Eidenyaku. There have been days when I thought about stopping. …then I kick myself. This is not a post about stopping Endless History. I love working on it so much. It’s more a post of what goes through my head and how much my life has changed since I started to work on it. And it has changed. A lot. I started the site, entirely hand coded, using CuteNews because I didn’t want to deal with a mysql database on my webserver. “Too much work!” I told myself. Then I realized all the work that went into writing each and every little article. Each little part of it. There were no categories, no tags, nothing diverse that I could do with it. Anything I wanted on the sidebar, I had to code myself. It was when maintaining the site itself started to consume ALL of my time every night rather than writing content for it. I hadn’t thought about the finer details- I was trying to make an English equivalent for Falcom Daisuki!, a Japanese page that I loved. A variety of things happened. One, Sugimo had to close his site down. This meant more digging and research on my part, and two: I finally decided to take the plunge for WordPress. I jumped from Cutenews in Jan 2011, and it was the best change I could do for the site. 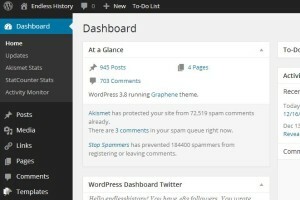 It made my job immensely easier with tools and plugins and widgets that all did what I did before. I want to keep working on this site, because I’ve met some great friends through it that I never would have- I even may have a “contact” or two with Falcom themselves, since I can often get someone on their twitter to respond to my questions on and off now. This is something I never imagined when I started working on this site- knowing people in the industry and so forth. I just thought it’d be great to have an English equivalent to an amazing Japanese fansite. This means I have no regrets and I am very happy that things have worked out the way they have. Here’s for another 4 1/2 years to Endless History, I guess! Previous PostExtra Life 2013 – Sanctuary is Giving Away a Playstation Vita? !Next PostRandom Aion Screenshot: All Hail Kaisinel!